Faculty members present their research and academic work in Zurich, Switzerland. Home > News > Research / Guest speaker / Expert / R2R > Faculty members present their research and academic work in Zurich, Switzerland. On June 20-22, 2018, the Staff of Faculty of Fine and Applied Arts presented their research and academic papers. 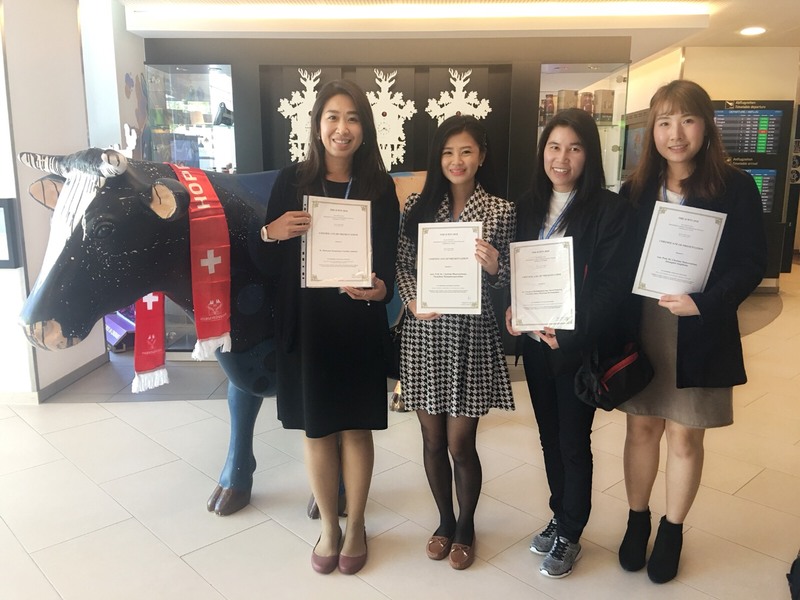 The 2018 ICBTS International Multidiscipline Research Conference in Zürich, Switzerland Academic personnel include: Associate Professor Supavadee Bodhivetchakul, President of Master of Arts Program Performing Arts and Lecturers Dr. Kusuma Thepraluk Lecturer in Performing Arts Theatrical arts, as well as academic support personnel, including Miss Parichat Channuan, Miss Phanchita Thanaponsirapas ,Miss Pattanan Krisanakan and Miss Sarunphat Saengthong attended this presentation.